19:03 | Lima, Feb. 11. 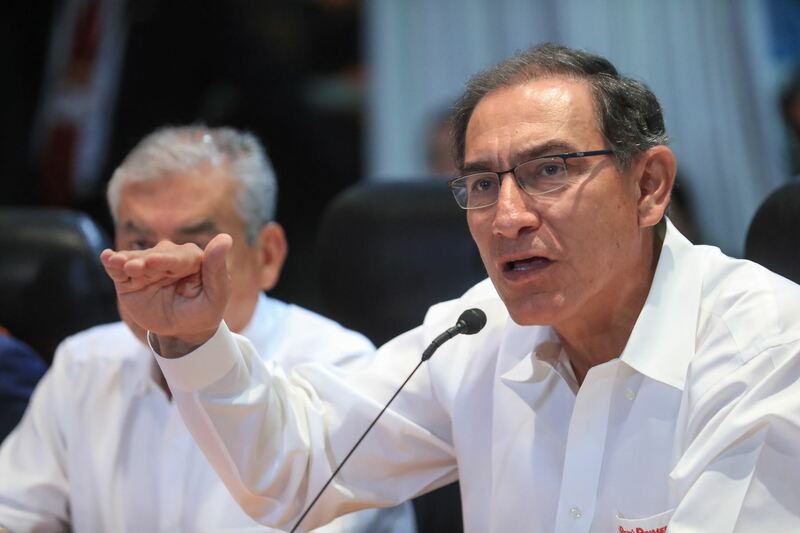 President Martin Vizcarra on Monday affirmed economic resources will be given to regional and local governments to restore infrastructure damaged by heavy rains and landslides across the country. At a press conference, he said it will be up to mayors and governors in affected areas to implement the reconstruction works at their jurisdictions. However, he pointed out the Executive Branch —through the Transport and Communications Ministry (MTC) — will be responsible for replacing infrastructures such as the Montalvo bridge (Moquegua region), in order to restore traffic on the Panamericana Sur highway. According to the Head of State, Montalvo rehabilitation works have started, and the MTC will open an alternative route of access through Yaravico bridge. President Vizcarra urged authorities to adopt a firm decision to prevent urban areas from settling in vulnerable zones such as streams.